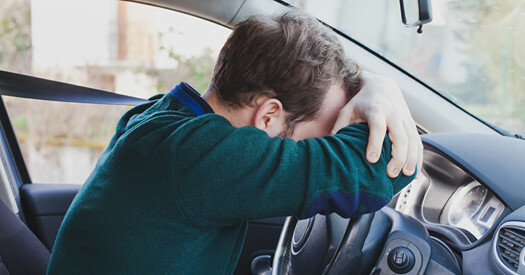 Serious auto accidents usually come with visible damage to the vehicles and people involved. Because it can be easier to tell when someone is injured, this reliance on explicit symptoms can result in overlooking invisible injuries. This is why it is so important to seek a medical evaluation if you are an accident victim, even if you feel fine or the crash was minor. You would think that significant trauma to your brain would be obvious, but that is not always the case. At most, you may have a bump on your head. You may also have blacked out in the moment and not even remember hitting your head. In fact, you do not even have to make contact with an object for your brain to sustain damage. A powerful jolt can be enough for your brain to strike your skull. Sometimes, symptoms do not show up right away. You may not experience the consequences until days or even weeks later, reveals the government site MedlinePlus. Keeping track of what symptoms occur and when following the accident can be helpful. Perhaps you do feel the negative effects of brain damage, such as headaches, blurred vision, memory loss, worsened coordination, mood swings and more. However, depending on which ones occur and when, you or your medical provider may wrongly attribute the symptoms to a different cause. For example, you may believe that nausea and vomiting are due to stomach flu or food poisoning instead of a TBI from your accident. Again, writing down health changes as they happen can help your provider make a proper diagnosis so you can receive proper care.